Preplanning your final arrangements ensures that your family understands your final wishes and alleviates a great deal of stress. Learn more about pre-planning in our informative, no-obligation guide. Families have nearly limitless options for memorializing their loved ones. We carry a wide selection of traditional and specialty cremation urns plus keepsake urns and jewelry items to honor your loved one. Preplanning your final arrangements ensures that your family understands your final wishes and alleviates a great deal of stress. You can begin the process with our convenient online form. This incredible e-book explains green burial so that you can make informed decisions about your end-of-life arrangements. Learn what green burial and green cremation are, what products are available, and answers to commonly asked questions. By using our live video streaming, you can include everyone as part of the celebration of life, and they will feel like they are there with you. There are several reasons for planning ahead when it comes to funeral arrangements and any sort of memorial service. The most meaningful advantage is that, if your plans are thorough, your loved ones will have no questions about your wishes when you pass. 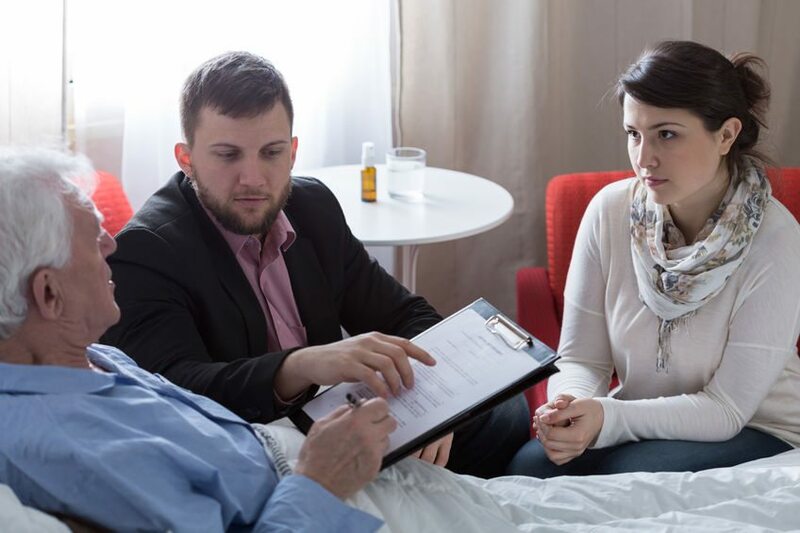 That insight can provide great relief for families facing a very emotional time because it means they don’t have the added stress of making decisions about what the deceased would want. We’ve explored this topic before and provide guidance on planning. We always advise families to have a healthy discussion about end-of-life wishes, no matter how uncomfortable it might feel to talk about it. But even if you don’t have a face-to-face conversation, you can make your own funeral arrangements ahead of time and take the guesswork out of the process for your loved ones, down to the smallest detail. The expense of end-of-life services is an added burden to families who are grieving a loss. Again, with proper planning, you can ensure that money from your estate or life insurance is set aside to cover funeral costs. Another option is to pay for your funeral arrangements in advance. There are several considerations to think about when deciding whether to pre-pay for your future funeral. The first is cost savings. Not only are you giving your family peace of mind that the financial component of the funeral is taken care of, but the total price you pay now for the funeral arrangements you choose will be less than in the future. We allow families to “lock in” today’s price and guarantee they will pay nothing more later. If you’d like to pay for your funeral in advance, you can do so in one payment or several. We offer the option of a payment plan. Another advantage to a pre-paid funeral goes hand-in-hand with planning your arrangements, such as what type of funeral service you wish to have. Of course, there are many elements to the costs associated with funeral arrangements, such as the type of casket or even a small detail like choosing a guestbook. Making those decisions ahead of time — and being as extravagant or as frugal as you wish — will again ease the minds of your loved ones who might not be in the right frame of mind to think about those choices in their grief. Is pre-paying the right choice for you? We think it’s a smart idea in almost every instance. Pre-paid funeral plans are transferable, should you decide to move somewhere warmer or closer to friends or family during your golden years, or choose another funeral home at a later time. If you do choose to pre-pay, please make sure to notify your loved ones you have made funeral arrangements and paid ahead of time, so that there is no ambiguity about details or finances when the time comes for the funeral. 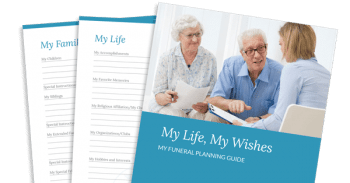 Use our funeral planning resources for more guidance and information. We have developed an end-of-life planning guide to help families answer important questions as they plan their final wishes. Gail Rubin’s Presentation: Now Available On Demand! Are You Ready to Kick Your Bucket List? Thanks for explaining more about pre-paid funeral plans. It’s good to know that this can actually work along side planning with the funeral arrangements as well. It seems like a good way to cover everything at the same time so you know what to expect for a funeral.